The stepfather of an 11-year-old New Hampshire girl whose disappearance and murder has remained unsolved for nearly five years was arrested Monday and charged with the girl’s death. Wendell Noyes, now 52, lived with Celina Cass in an apartment in West Stewartstown, New Hampshire, when she disappeared the night of July 26, 2011. A massive manhunt ensued, and her body was later found August 1 in the Connecticut River, just a half-mile from her home. Noyes is charged with second-degree murder, New Hampshire Attorney General Joseph Foster said in a statement. Investigators say he killed his stepdaughter by submerging her body in the river. Reached Monday, Associate Attorney General Jane E. Young said she couldn’t comment on what led to Noyes’ arrest almost five years after the killing. In February, the Associated Press reported that a major crimes squad truck was parked outside Noyes’ trailer. The case drew national attention, with dozens of investigators searching for Cass in the days before she was found. Cass lived with Noyes, her sister, her mother, Luisa Cass, and the 22-year-son of one of her mother’s former boyfriends when she was last seen at the family computer around 9 p.m. on July 26, 2011. Her mother later separated from Noyes, who had a history of psychiatric issues, court documents showed. He was found unfit to stand trial in 2003 after being charged with breaking into an ex-girlfriend’s house and threatening her. Finally! I always felt he was the one who killed Celina, not sure why it took so long for his arrest! Her stepfather, Wendell Noyes, is accused of killing her. He is charged with second-degree murder. Prosecutors said Noyes submerged Cass' body in the river. Prosecutors said the case remained active over the years and investigators visited Noyes at his mobile home in February. Information about the investigation and what led to his arrest is expected to be revealed when Noyes appears in court Tuesday. Celina was last seen using a family computer at her home -- which burned down in December 2013 -- the night she disappeared. More than 100 people joined the search. New Hampshire State Police and the FBI were called in, and missing posters were put up to aid the search. Investigators said Wendell Noyes caused the girl's death by submerging her in the river. 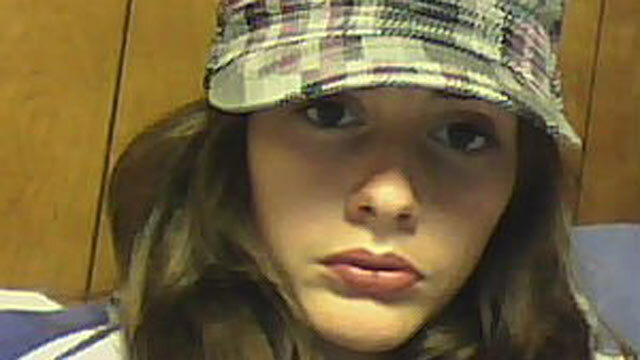 Celina's body was found on Aug. 1, 2011, wrapped in a blanket near a dam in the river about a half-mile from her home. A few days later, investigators took Wendell Noyes’ pickup truck. An arrest warrant for Wendell Noyes was issued Monday, and officials said he will be arraigned at 3 p.m. Tuesday in Berlin Circuit Court. On Monday night, Celina’s mother, Louisia Cass, spoke exclusively with News 9’s Amy Coveno, who has been covering this case from the start. “Why? That word, 'why' has run through my head for the last five years. Why would anyone want to go and take my baby girl away from me?” said Cass. After Celina’s murder, the tiny community near the Canadian border rallied around Cass, joining her in calling for justice. Investigators knocked on Cass’ door, telling her the news she has waited and prayed over for five years. “We went out back, and they asked if I could sit down and talk with them. I said, ‘Yep.’ We sat down [and] they said ‘We are going to arrest Wendell today for the murder of Celina,’” said Cass. She, along with other members of the community, said that they knew it was Wendell Noyes all along and that they are relieved that he is in custody. Cass said her life took a dark turn when her daughter disappeared. She divorced Wendell Noyes after nine months of marriage and said she yearned for closure that only an arrest could bring. “’Don’t give up, Louisia. Don’t give up, Louisia.’” I could hear her saying, ‘Mommy, don’t give up on me,’” she said. Cass said Celina was a mama’s girl, attached to her mother’s side -- even at home. The night Celina disappeared, mom and daughter were watching television together before Cass went up to bed. She never saw her 11-year-old daughter alive again. Cass has not seen her ex-husband since Celina’s death, but she said she’ll be in court tomorrow to see him face the crime that she has suspected he committed for years. She said she hopes Wendell Noyes will be there in person, and in handcuffs. “I want him to rot so bad,” said Cass. Yes finally, 5 long years but I am so glad LE didn't give up on Celina! Wendell Noyes, 52, was charged with second-degree murder in the death of Celina Cass. The girl's body was found in the Connecticut River days after she disappeared from her home in West Stewartstown on July 25, 2011. Wendell Noyes was found incompetent to stand trial for second-degree murder in connection with the 2011 death of Celina Cass, 11, who body was found in the Connecticut River days after she disappeared from her home. "Ultimately, the case was dismissed because no court is going to try a defendant who is not competent," defense attorney Robin Melone said. Last edited by SamCat44; 05-04-2017 at 08:16 PM. Thanks for the update SamCat44 and welcome to OUAC! I must have missed this alert on this news. I'm absolutely floored. Last edited by Aubrey; 05-04-2017 at 10:12 PM. So is this murderer free to live on his own? Or will he be permanently institutionalized for life? Though he won’t be incarcerated, Noyes is going to the New Hampshire State Prison’s Secure Psychiatric Unit, where he will continue to undergo mental health evaluation. Noyes was charged in the 2011 murder of 11-year-old Celina of West Stewartstown. He was arrested in June, when he was already undergoing mental health treatment at New Hampshire Hospital – the state’s psychiatric hospital in Concord. Noyes is being moved to the state prison after he was deemed too dangerous to continue treatment at New Hampshire Hospital on Monday, spokesmen for the New Hampshire Department of Corrections and Department of Health and Human Services confirmed. A court in Lancaster ruled Monday that Noyes, 52, was not competent to stand trial and that his competency cannot be restored. According to one evaluator, his mental illness creates a potentially serious likelihood of danger to others. Noyes will be evaluated for involuntary treatment for the next 90 days, according to the court order. Noyes has been in treatment at New Hampshire Hospital since December 2015. At that point, he was admitted to the hospital involuntarily for a period of up to five years. After six months of treatment "with reasonably high doses of antipsychotic medications, the intensity of his psychotic symptoms improved but the paranoid and delusional thinking did not," according to a court-ordered evaluation conducted in September by Dr. Albert Drukteinis. Drukteinis wrote that having to prepare for and sit through a trial could "likely" worsen Noyes’s psychotic symptoms. Additionally, the doctor concluded that Noyes’s mental illness "creates a potentially serious likelihood of danger to others." There are numerous instances of Noyes threatening and acting aggressively to others documented in psychiatric records from 2004 to 2015. Before Noyes is evaluated, it is unclear if he will ever be released back into the community. However, if Noyes is ever transferred to another facility or discharged, the state is supposed to notify Cass’s family and the police department wherever he is discharged. New Hampshire Assistant Attorney General Jane Young told WMUR that if Noyes is deemed competent to stand trial in the future, her office would be able to reinstate the charges. @[Only registered and activated users can see links. ]; I was curious too. Here's what I found from an article dated February 28, 2017. Good to know, charges will be reinstated, if he is deemed competent in the future. It really depends if they can find an anti-psychotic medication for him and he stays on them. I had one client who murdered someone when he was having a psychotic episode. he thought someone was ready to shoot him so he shot first. He was released when he responded to medication but he would stop taking them and end up back in the hospital. Had to talk to him when he was on the street reminding him to take his meds. He never did kill anyone again yet he always went for help when he needed it. very smart. I wonder what will happen if this guys just stays crazy. will they keep him forever? Thanks, Aubrey. Yes, good to know charges will be reinstated if deemed competent in the future. You're welcome Chantel. IMO, that's how it should be with cases like this. ok, that's better. thanks Aubrey! Thanks for the welcome...I missed this update also, thanks to those who posted more info on what happens with Noyes now that the charges were dropped. I'm glad to see those charges could be reinstated should he be found competent. While nothing can bring Celina back to her love ones their hope for justice is now in limbo, they are left to wonder if they will ever see any justice for Celina. My heart goes out to them.